Find out how property developers can fulfill Section 106 requirements with DriveNow. As a car club, DriveNow has a significant role to play in reducing the negative impact private cars have on London’s air quality and reducing traffic congestion. One way of doing this is by working with property developers and travel planners to integrate car sharing into new developments. 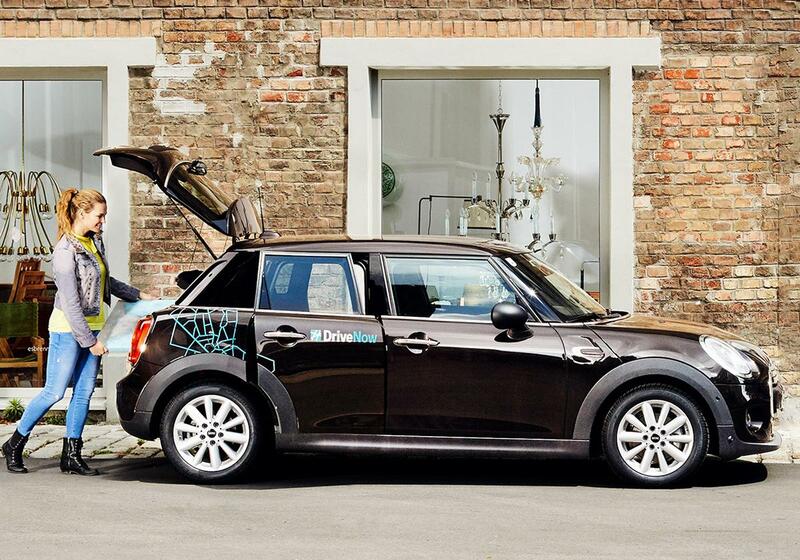 Rather than owning a private car, residents have access to shared DriveNow cars. Clissold Quarter, by Higgins Homes, has recently been completed in Green Lanes, Stoke Newington, (N4 2EY) with 273 new flats and units. Under S106 obligations, the London Borough of Hackney required Higgins Homes to include car sharing as part of their transport plan. “After previously working with DriveNow on a smaller development, we approached them in regard to fulfilling our Section 106 obligations to provide a flexible car sharing membership for all residents at Clissold Quarter” says Jeremy Marcus, Sales & Marketing Director, of Higgins Homes. “Our intention is to provide the best transport option for our residents and DriveNow provides an easy, modern service which suits the London lifestyle. We look forward to working with them on future developments”. By partnering with DriveNow as their sole car sharing provider, Higgins Homes didn’t need to provide dedicated spaces at Clissold Quarter. DriveNow cars (including the MINI 3 and 5 door, MINI Convertible, BMW 1 Series and all-electric BMW i3) are available within 5 minutes’ walk of the development and can be rented spontaneously with just the swipe of a customer card or reserved for free 15 minutes in advance. New residents at Clissold Quarter are introduced to DriveNow with a welcome pack including registration instructions, DriveNow overview, rates and business area information. There is a lifetime membership and a number of free driving minutes available for all residents, with no need for ongoing annual or monthly fees. Members pay a flat fee for driving with the choice to pay by the minute, hour or day (prices include petrol, parking, insurance and tax). If you’re a travel planner or property developer looking to fulfill S106 car sharing obligations on your next development, please contact business_uk@drive-now.com to discuss working with DriveNow. Learn more about car sharing in London!